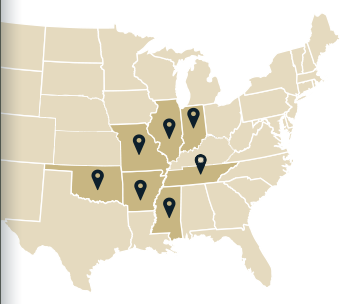 Rehabilitation of existing family units in Columbus, KS | MACO Management Co., Inc.
Apple Glen Apartments is a 24 unit family property with 4 one-bedroom apartments, 14 two-bedroom apartments, and 6 three-bedroom apartments. 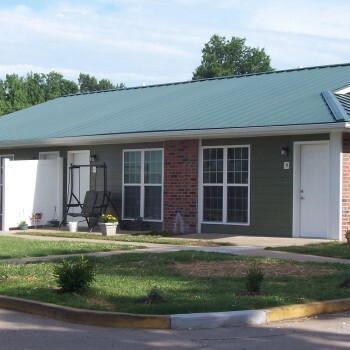 With joint efforts of the Kansas Housing Resources Corporation (KHRC) and the US Department of Agriculture – Rural Development (RD), MACO was able to address the many physical needs and to completely renovate the existing apartments. The scope of work included replacement of exterior siding, roofs, windows, doors, and site lighting, new flooring, cabinets, doors, energy efficient appliances, plumbing and electrical fixtures, and paint.